2013 is charging ahead and I'm enjoying reading about everyones ideas and plans for races or fun runs in the coming year. While my thoughts are definitely drifting to the summer and getting back into the high country, I have a gnarly 100k next weekend that I need to face for the third year in a row. The infamous Bandera DNF bib! Bandera is back on tap and this year I'm determined to run a smart race finally realizing what I'm capable of doing down there. I'm healthy and have no nagging aches or pains that have plagued me at this race the last two years. It should be a good day. It's also the Trail 100k National Championship, so that may provide a little extra push. 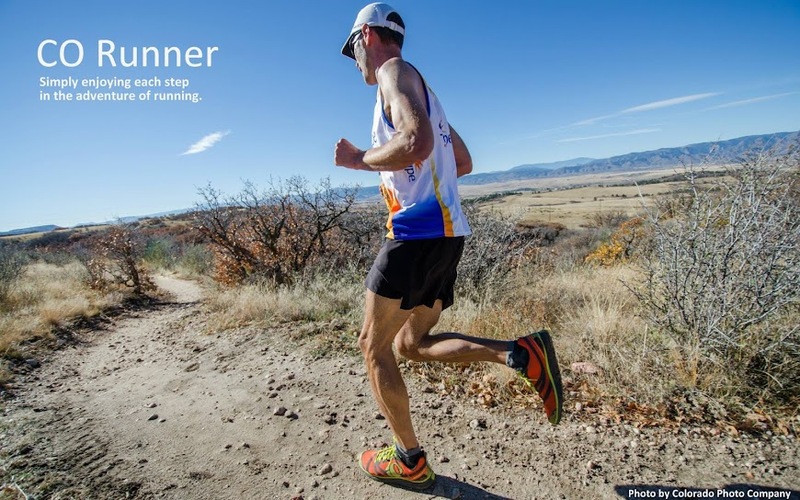 I'm pleased to be able to join the Runner's Roost Race Team this year. I thought I'd toss my name in the hat and somehow they decided that I wouldn't handicap the team too much. It will be fun to add a bit more camaraderie to the mix this year and represent an organization that has such a strong presence supporting the local trail running scene. When planning my 2013 races, everything was beginning to look almost identical to my 2012 lineup. That didn't bum me out because between Bandera, Moab's Red Hot, Lake City, Golden Gate, and Leadville - those are some sweet courses! But over the New Year's weekend, a seed was planted that quickly sprouted into a full plant. We had some good friends visiting from our old hometown, Santa Barbara, and we began talking about various trail races in the Los Padre National Forest. Those are some rugged and beautiful mountains. One thing lead to another, and I was pouring over the DRTE 100 website feverishly running the logistics through my head. The RD moved the race from April to June and the timing is excellent for a nice summer southern California vacation. It's a beast with 29K feet of vertical. Mt. Everest? Ouch. I'm loving the 6pm start though. I'm getting very close to committing. After the DRTE 100, my focus will be on recovery and enjoying fun runs in the high country whenever possible. Next up will be the LT100 in August. I'm a little nervous about running two 100's in a summer, but I love Leadville and I think spacing them out two months should be fine. The other "new to me" race I'm planning on is Salida in March. And I might head back to Collegiate Peaks in May. I prefer Quad Rock, but that weekend doesn't jive too well with my soccer coaching schedule. This July I'll either attempt a second round duel with the Pemi Loop or take a crack at the Presi Traverse. I'd also like to hike a 14er with my girls. After reading Jennifer Pharr Davis' book "Becoming Odyssa" last summer, I've had a serious itch to try thru-hiking. Not on the scale of the Appalachian Trail or CT as that is completely irrational at this stage of life. I'm thinking more like a 4-5 day adventure. The way Jennifer described hiking solo day after day really appealed to me. If the stars align correctly, there's a chance I may get an opportunity to hike the CT from Littleton to Leadville over Labor Day weekend and a few days beyond. I've been accumulating much needed backpacking gear for the last year, so I think I'm ready for such an attempt. Looking back on 2012, it was nothing short of awesome. My family continues to be a huge support and I love that we are each others #1 fans. We all have different interests and hobbies, but we always rally for one another. Whether it be soccer or softball games, piano or band concerts, spelling bees or other performances, or just hanging out and goofing off - we're always there in support. Our days together are full and rich, and running is just a small piece of the pie. This blog recaps just about everything that was somewhat notable in 2012. Last January, I tossed out a few loosely defined goals. I feel like I accomplished what I set out to do while continuing to achieve consistency over the last three years of ultra/trail running. I know this sport can take time for your body to adapt, but when you keep plugging away over the years, it gets much easier - and fun! Great post and looking forward to your posts in 13. I was a backpacker quite a bit in college and thought that I'd be up for a thru hike of the AT at some time. Did a lot of trips of about a week, 10 days, with a core group of other guys all over the AT. Then I did a solo trip. Found I was thinking about them, friends, my girl friend (who would become my wife). So I guess you could say I got lonely. One week of that was enough for me. That was part of what I enjoyed about JPD's account. When she'd hike with others, soon she'd be wishing she was alone. Then after days of not seeing anyone, she'd be craving interaction. I can easily see myself not wanting to hike solo for more than 4-5 days as the thoughts you described take over. I guess that's part of the challenge. I may have to bug you with some questions later on! Congrats on an outstanding year. 351 miles in December! You are teed up nicely for Bandera. It'll be a sweet feeling to pull that bib off the mirror! Well, that's what trying a streak stunt does. It pads your miles heftily. I am teed up nicely, but that leaves me with no excuses if I blow up again down there! There is no way in hell you "pad" miles to come up to 351. You straight worked for those! Bandera baby! Impressive numbers, Woody! Congrats on another solid year of running. Before I took up this crazy ultrarunning hobby, I was a serious long distance hiker. I hiked something like 6,500 miles from '02 to '06-- completing the Appalachian Trail, the Long Trail, the Wonderland Trail, the Pacific Crest Trail, the John Muir Trail, and the Colorado Trail. All awesome, life changing trips. I can't say enough good things about thru-hiking. It was an incredibly transformative experience for me. That is an incredible hiking resume you've got there Andy. I need to come up to Leadville and go on a long run with you so I can pepper you with questions. Or maybe we should do that down here so there's some air to breathe while we run & talk! You need to write a book about your experiences.